Paper City Studios Announces Spring Open Studios and Installation Event! May 8, 9 and 10, 2009. Fri, May 8 Opening night reception, open studios and installation exhibit – 6 to 9 p.m. 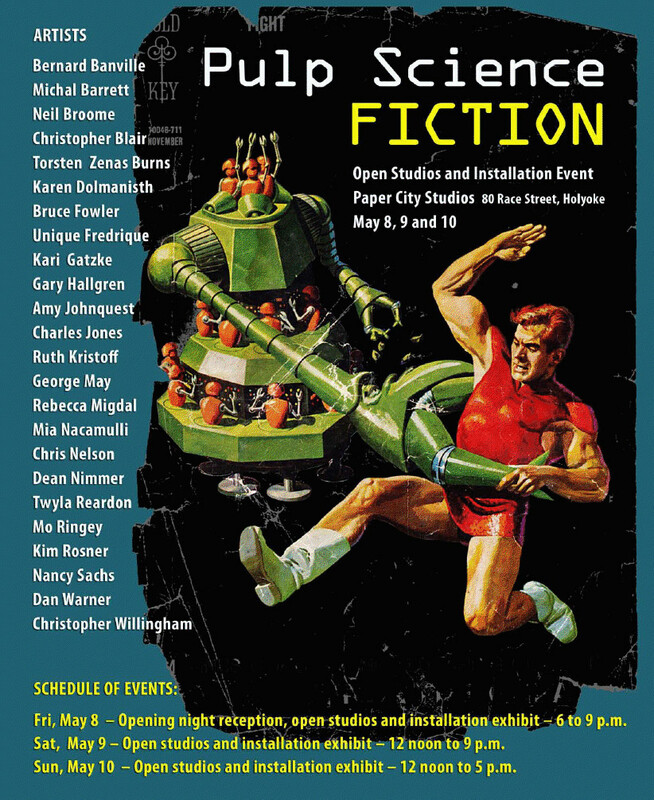 Sat, May 9 Open studios and installation exhibit – 12noon to 9p.m. Sun, May 10 Open studios and installation exhibit – 12noon to 5p.m. This entry was posted on May 5, 2009 at 7:01 pm and is filed under Adventures and Interludes, art, Artists, Exhibits, Popular Culture, Science?. You can follow any responses to this entry through the RSS 2.0 feed. You can leave a response, or trackback from your own site.